This content is provided by Jakub Pokrzywniak. 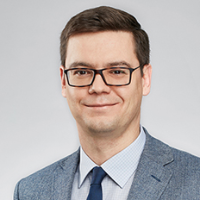 A partner at WKB, Jakub co-heads both the Insurance and the Energy practices. He advises on insurance and energy law, and provides client representation in judicial and administrative proceedings in disputes concerning insurance compensation, loss of brokerage fees, and D&O insurance. He provides advice on terms and conditions of insurance, insurer’s liability, and conforming foreign terms of insurance to Polish legal requirements. Regarding the energy sector he advises on defining tariffs, transmission, distribution and purchase agreements. He is a co-author of the Commentary to the Act on RES and a Guide to Insurance Distribution Act and a university professor.